“Vinnie is very proficient concerning local market conditions and the negotiating process. His calm demeanor made the whole process smooth and pleasant. “My wife and I agreed it was time for me to retire while on a vacation in Florida We decided to buy our retirement home. We returned home and put our Highland Lakes house on the market with another REALTOR®. We had many showings as we listed in March 2014 but no offers. We went thru this process for six months. We rarely saw our agent and had very little communication from the agent. What we did notice were all the homes being sold by Vinnie. "If you want to sell, or buy, in Highland Lakes there is only one person to go withâ€¦Vinnie Alonzo." "Vinnie has always gone beyond what is necessary, whether he is selling our house or being a good friend." "Vinnie knows what it takes to get the deal closed and has a large network of people to help make the process seamless for the customer." "I loved working with Vinnie! After three failed contracts with a prior agent, Vinnie saved the day! He's approachable, trustworthy and gets the job done." "We had our house on the market for a while with another REALTOR®. We had many showings, but no offers. We were referred by friends to seek the services of Vinnie. I felt immediately like we had a friend that was selling our house. He pointed out many ways to improve the showing of our house, and it worked. We sold our house in four months. I wished I listed with him earlier. I still see Vinnie and his family and I greet him like family. He also was instrumental in finding our dream home. The house we wanted was in short sale. He walked with us every step, reassuring us. We love Vinnie. I would highly recommend his services." "When my wife and I decided to sell our small farm we turned to Vinnie for the listing. Through his diligent and hard work our farm sold in a couple of months. Soon thereafter we decided to look for another home in the Birmingham area, close to family and friends. There was no question as to who we would turn to for help in locating the right home for us. Vinnie is a hard working REALTOR® who always approaches all aspects of his job in a professional manner. We will soon close on our new home in the Birmingham area thanks to Vinnie. "Thank you for going the extra mile while selling our home. You were easy to work with, extremely professional and always willing to put our best interests first. We will certainly use you again for our next move!" "Always there; always aware. Vinnie's work ethic on our behalf was impressive!" 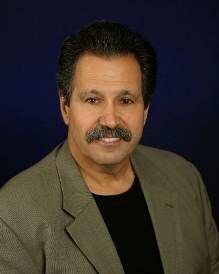 "I highly recommend Vinnie Alonzo for either the sale of your home or the purchase of your new home. I starting thinking about selling my house and discussed it with Vinnie. Vinnie previewed my home and discussed the market. One thing he said during our conversation really rang true. Vinnie told me if I listed my house be ready to move. I was skeptical at first but considering Vinnie listed my house on a Saturday and sold it on Monday for my asking price. So if you list with Vinnie take it from me and get ready to move! Vinnie was great to work with and handled every detail no matter how big or small. Vinnie is the only REALTOR® I will ever use again." "Working with Vinnie has been great since the word go. He has gone out of his way to arrange in getting our house ready to sell. In less than a week he had a showing lined up. Would recommend him to anyone!" "We would recommend Vinnie Alonzo to anyone in need of a REALTOR®. My husband and I met him after a terrible experience with a previous REALTOR®. We decided to try and take matters into our own hands but were relieved after our 'coincidental' encounter. Our transaction was painless and quick. He goes above and beyond, is personable and conscientious. We have been here in Alabama a little over 1 year and can honestly call him a friend!!! We recommend him with out hesitation." "We found Vinnie thru the internet while looking for housing in the Birmingham area. We hadnâ€™t been through the home buying process in over 30 years and had never done anything out of the state of Ohio. We basically put Vinnie thru the paces because of our limited knowledge of the Birmingham and needed a lot of help finding a good area plus the home we wanted in a price range that was acceptable. We were very pleased that he paid attention to our needs and showed houses that were in line with what we wanted. We ended up building a house in Chelsea while still living in Ohio. Vinnie made numerous trips to the site and emailed pictures to allow us to remotely monitor progress. He even helped find problems during construction and to get them corrected. We were impressed at the time and effort he put in the process from start to finish. Vinnie far anything that we expected from a real estate agent and we would recommend him to anyone at anytime." "Vinnie did a great job handling the search and purchase of our first house. He worked diligently and honestly to find a house within our budget. During the closing process, Vinnie was very helpful in negotiating a fair price for the closing cost with the seller. I was very impressed with the job Vinnie did and would recommend him to anyone looking to buy a house." "Buster and I want to express our appreciation to you for all your expertise and kindness in guiding us through the "move". You were always professional in steering us through the process and your friendship has been an added bonus. We love our home and the neighborhood and look forward to many years here. Again, our sincere thanks for everything from both of us." "Vinnie, We appreciate all your hard work in finding our new home. You have made a very difficult & emotional move a more positive experience! And perhaps best of all, we not only call you our REALTOR®, but our friend. From the bottom of our hearts, we thank you." "I had heard many wonderful things about Vinnie when I was looking for a REALTOR®. When my husband and I decided to list our house, Vinnie was on family vacation. I emailed him and told him we could discuss when he got home. But Vinnie is a "go-getter." He texted/emailed me several times while on his family vacation and spent his "relaxing" time helping and talking with us. After he returned home, he came all the way to Bagley on a Saturday to sit down and talk with us. For those of you who do not know, Bagley is in the middle of nowhere and was a good 45-60 minute drive for him. I will never forget what Vinnie told us that day... I had mentioned several times where we wanted to move IF our house sold, he corrected me saying We will sell your house and you will have a Hoover address, NOT IF. The next night (Sunday) I had a phone call from Vinnie telling me a showing was set up for Monday morning. I could not believe how fast he was showing it. The showing went great and Vinnie texted after with their response. He stayed in contact with me that day and then texted to let me know they wanted to see it again the next day! Vinnie sold our house within 3 days!!! He was there every step of the way when we then needed to look for a house in Hoover. He spent several days/hours of his time showing us everything he thought we would like. He was VERY honest about everything and stood by our side the ENTIRE time. After we chose our house, the closing went wonderful on the house we sold and bought. I have never seen a REALTOR® work as hard as Vinnie did. He worked beyond hours and did everything he could to help us. His communication was AWESOME!! He ALWAYS kept us "in the know" either by phone, text, or email. Vinnie is not only a REALTOR® but a wonderful family-man and friend. To this day, I still have contact with him through emails or texts to see how we are doing. His family also sends us Christmas cards to show us how much they care. It has almost been 2 years since we moved, but I will NEVER forget how AWESOME Vinnie. If you are looking for a REALTOR®, Vinnie is the ONLY choice. He will get you the address you want!!" "Working with Vinnie Alonzo to sell my home and purchase my new home was an excellent experience! He sold my home in 17 days and worked very hard to close both my sale and purchase together. He was available to answer my questions and was willing to go the extra mile in making sure all details were taken care of in a timely manner. I really appreciate all of his hard work and care during the process of selling my home and purchasing my new home; and would most definitely recommend him to anyone who is in need of a reliable and efficient real estate agent." "I have known Vinnie for several years now, and as one of the first people I met when I moved to Birmingham he has become and remained a great friend. In addition, he is a wonderful agent to work with! We got Vinnie involved with the sale of our home in an area where there were a lot of houses for sale; a lot of houses that were very similar in style and price. Vinnie marketed our house perfectly and with his knowledge and charm had our house sold within 5 weeks! He assisted with the closing of the house and did an absolute terrific job with the entire process. I would definitely use Vinnie again, and will continue to refer anyone I know looking for an agent to use Vinnie. Thank you again my friend!"